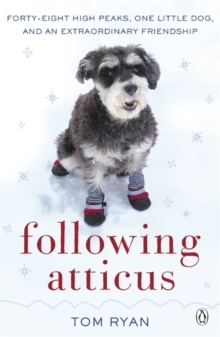 Following Atticus is Tom Ryan's moving true story, of a man and his remarkable dog. Tom Ryan is a middle-aged, overweight, no-nonsense newspaper editor. But when Atticus M. Finch, a Miniature Schnauzer, arrives, he is forced to question everything about his life. 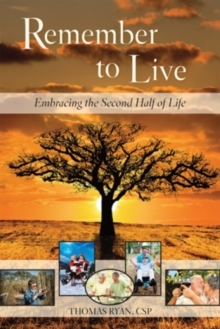 Wanting to raise money in memory of a friend who died of cancer, Tom decides that they will both climb 48 of New Hampshire's mountains during a single winter - twice. What awaits the pair is the adventure of a lifetime. In an enchanting but dangerous winter wonderland, they face raging blizzards, frostbite and storms. It is a rare test of endurance that soon becomes a soul-searching journey. And then, within a month of returning home, tragedy strikes. Atticus goes blind, and the blood tests suggest something even worse. Now facing an even greater challenge, Tom and Atticus undertake a journey through darkness and into light. For anyone that loved Marley and Me, Following Atticus by Tom Ryan is a heartwarming story of friendship, selflessness, redemption -- and above all, love. Tom Ryan worked as an editor until 2007, when he decided to sell his newspaper move to the White Mountains of New Hampshire. He started climbing in memory of a friend who died of cancer, and in the last five years has climbed an incredible four hundred and fifty 4,000-foot peaks.